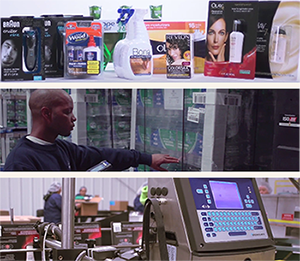 Headquartered in Burlington, North Carolina, Impact Fulfillment Services, LLC (“IFS”) provides outsourced contract packaging and distribution services to leading branded consumer products companies in the United States. The company’s primary services include final assembly of point-of-purchase displays and custom packaging, such as blister packages and shrink wraps, for consumer goods sold through the club and mass retail channels. The company was founded by Todd Porterfield in 1998 and since then has developed a reputation for superior customer service and quality. Endeavour was introduced to Todd and IFS in 2013 by Ray Garcia, an experienced logistics executive with whom Endeavour had previously partnered. Over a three year period, Endeavour and Todd developed an active relationship and on occasion discussed partnering. In 2016, Endeavour invested in IFS to provide partial liquidity to the shareholders and to support Todd’s long-term growth objectives. As part of the transaction, Ray Garcia joined the company as Executive Chairman.